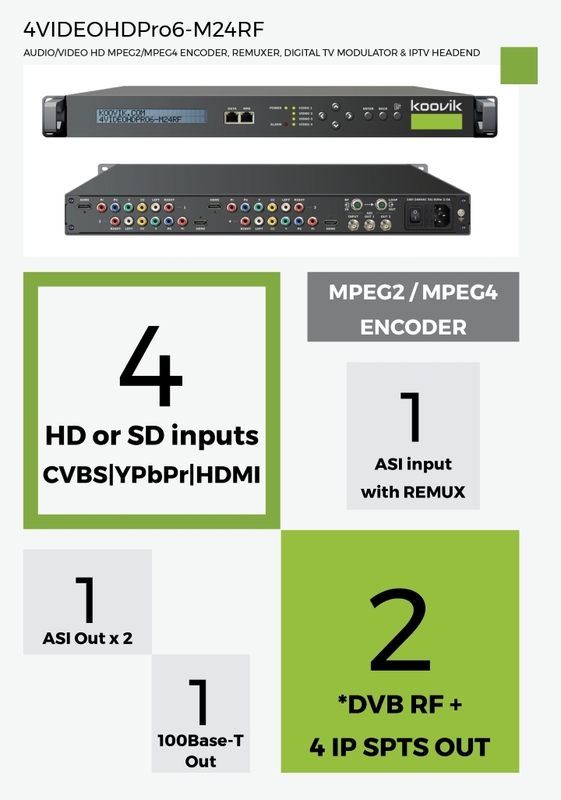 Professional-grade SD and HD (Quad-A/V) MPEG2 and MPEG4 encoder, ASI Multiplexer, RF Modulator and SPTS IPTV Streamer. ASI input with Multiplexer, PID filtering and re-mapping. DVB-T, DVB-C, ISDB-Tb, or ATSC (different versions) RF MUXES, IP, and ASI outputs.